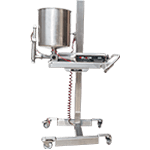 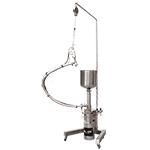 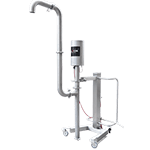 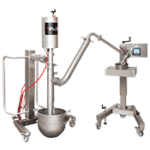 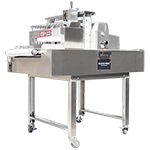 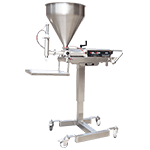 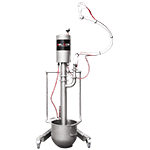 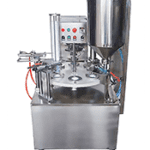 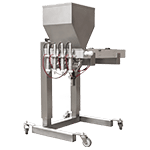 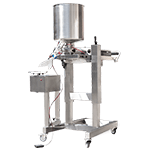 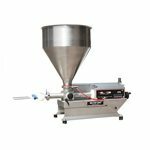 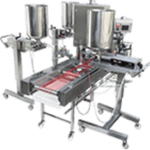 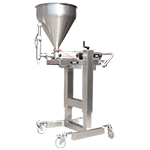 multi-piston depositor from volumetric stainless steel, designed to work over conveyors or working tables for continuous automatic filling of pans (cakes, muffins, etc. 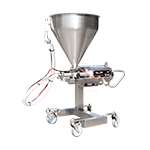 ), spot depositing, etc. 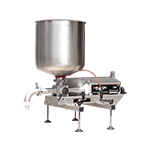 applications: depositing of cake batter, muffins, jam, jelly, fruit filling, cream, mousse, etc.